Summary: A sermon for Father’s Day, calling all fathers to the mission Jesus set forth for us to follow. 65 years old: I wish I could talk it over with Dad just once more. 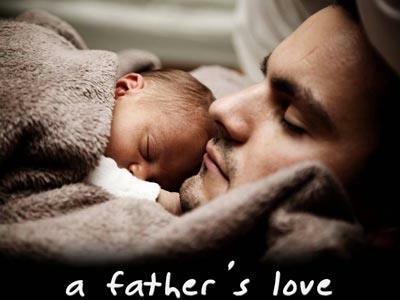 For someone who has been blessed with a good father, these thoughts will very well touch a note of sentiment. I have been very blessed in my life to have a father who prayed for and with me and played with me when I was younger: even in his last years we would gather around the table for a game of Scrabble on a cold winter’s eve. Dad protected me by placing limits and rules upon me as I grew up. I did not realize, until very much later, just how significant those rules really were in my life. Even though he set some fairly strict guidelines, I was allowed to live my life to the fullest, because he trusted me and I in turn trusted his guidance. Dad’s life was a pattern I have been trying to model my life after. Dad spent considerable time in Bible study, for his own personal edification and also to prepare himself to teach Sunday School, which he did for more than 40 years. It is through this intensive study Dad was able to not only understand the mission of the Church as revealed by Jesus’ teachings; he also was more able to realize the mission GOD had given him through fatherhood. Now, let me ask you fathers here today: What was the model of Jesus’ ministry? Do you understand your mission as modeled by Jesus in His ministry? "When He saw the crowds, He felt compassion for them, because they were weary and worn out, like sheep without a shepherd." Compassion is not one of those words fathers hear very often in their everyday conversations. Yet that is one of the strongest attributes of any parent, as modeled by Jesus. As father, and most probably the head of household, it is up to you to reassure the family when things get rough. Jesus saw the crowds were "weary and worn out, like sheep without a shepherd." One of our functions as the father is to step forward and accept the mantle of shepherd, of leadership in the family. This does not mean we are to carry a big crooked stick and use it to jerk our family around. No, what we are to do is learn how to compassionately lead our families along a path which will guide them toward Jesus. At times, any or all members of the family will become weak and weary; it is then we must show strength and compassion to them. The need for compassion and good family leadership is so great we must go to Jesus to seek His guidance for it. Jesus tells His disciples, "The harvest is abundant, but the workers are few. Therefore, pray to the LORD of the harvest to send out workers into His harvest." Are we truly aware of the need for our presence and leadership within the family structure? Jesus tells the disciples to "pray to the LORD of the harvest to send out workers into His harvest." The need is here now and it is an urgent need. "The harvest is abundant, but the workers are few." When was the last time you went to the LORD in prayer for help in making a family decision? 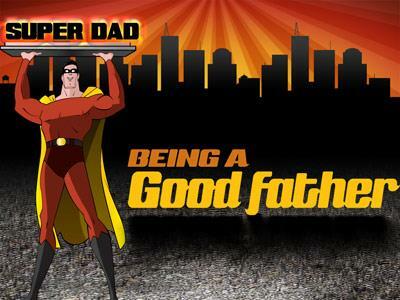 The need for good fatherly leadership is right now and extremely urgent. Too many of our families are being allowed to go about their way, hither and yon, with no real vision or idea of where they are headed. Individualism is important, yet, family structure is just as essential. Without some pattern, some organization; without proficient leadership, the family institution as we have known it will not survive. And do not think that once the kids are out of the house, your job as a father is over. You will be a father from now on. My Dad was a father until he took his last breath; on Sunday, the week before he passed, he was offering me sage advice. I am thankful for that kind of fatherly dedication. 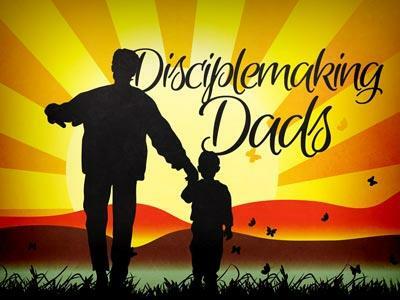 A sermon for Father’s Day, calling all fathers to the mission Jesus set forth for us to follow.